There’s a reason why chicken soups are sometimes referred to as Jewish Penicillin; you can literally feel it’s restorative powers with every mouthful. And chicken matzo ball soup is the daddy of all Jewish soups. The key to a great chicken soup is of course the broth and no skimping and purchasing of even the best quality pre-made stock will suffice. It has to be made from scratch, no ifs or buts. You can’t be cheap either with the amount of chicken pieces. 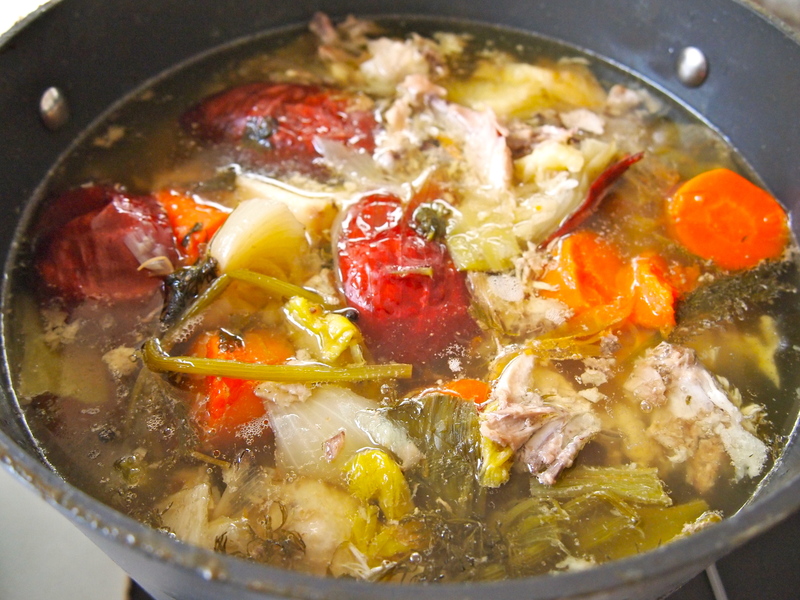 chicken bones or carcasses you use – the more, the better the taste of your broth. The vegetables used also play an important part. I like to use carrots, onions, parsnips, celery and a head of garlic, with some herbs thrown in for good measure. 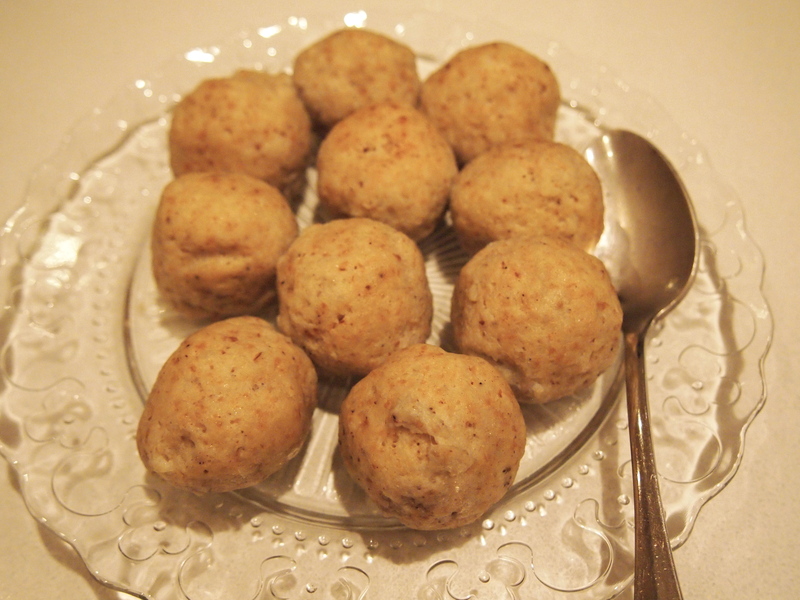 A word on the matzo balls. I like them to be walnut size but you can of course make them larger. Some recipes call for the matzo balls to be cooked in the soup but I prefer to boil them separately and then add them to the broth just to heat through. This way I can cook a large match of matzo balls and then just heat as much of the soup and matzo balls I require without constantly reheating the matzo balls which wouldn’t yield great results. This dish is not only something that’s wonderful to eat, it’s also very satisfying to make. There’s something about a big batch of broth simmering on the stove, filling your house with the smell of goodness that’s very comforting. 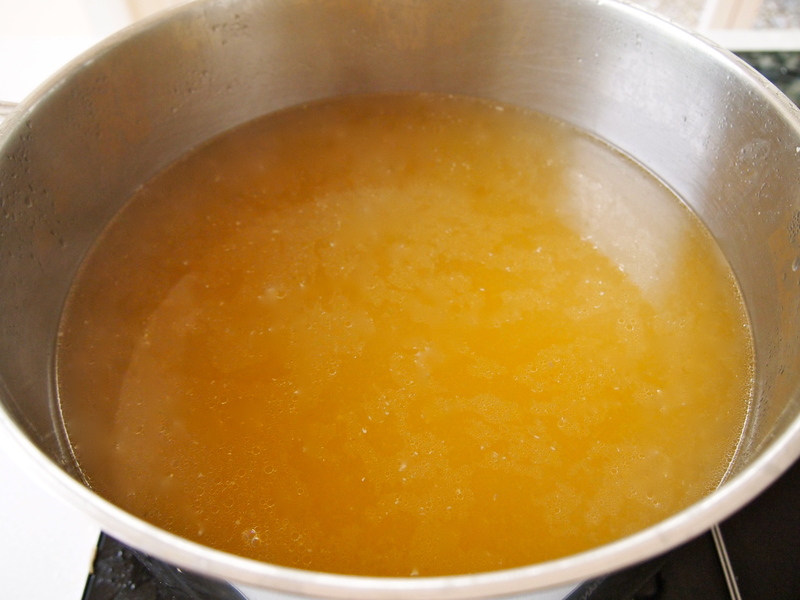 Wash the chicken and carcasses/bones in cold water and place them into a large stock pot. Add the rest of the ingredients and cover with as much cold water as required to just cover the chicken and vegetables. How much water you need will depend on the depth and width of your pot but it should be around 3 litres. Place the pot over medium heat and bring it slowly to the boil, skimming any skum as it rises to the surface. When it comes to the boil, lower the heat to a gentle simmer and cover with a lid. Cook for 2-3 hours checking every now and then and skimming if required. At this point I like to turn the heat off and leave the pot undisturbed for a good 30 minutes before straining the broth from the vegetables. 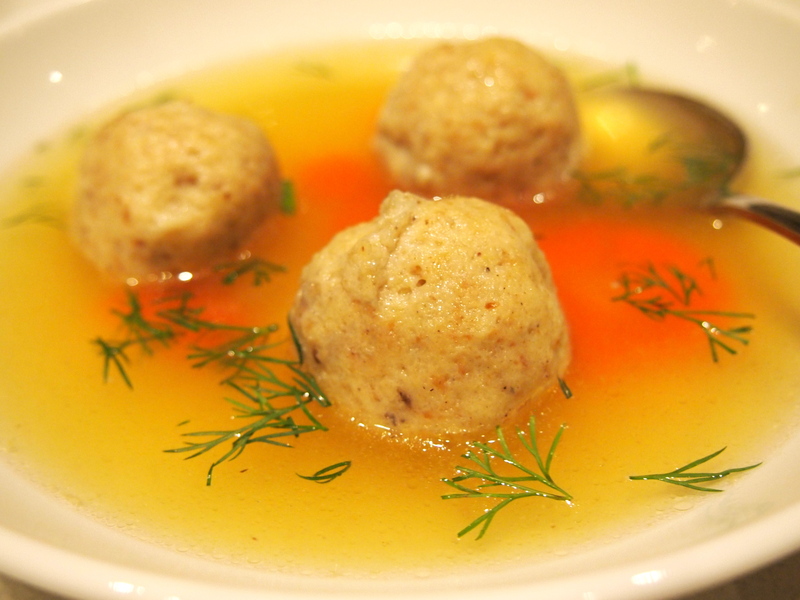 Discard the solids and strain as much fat as possible from your broth – reserving some of it to use in the matzo balls. 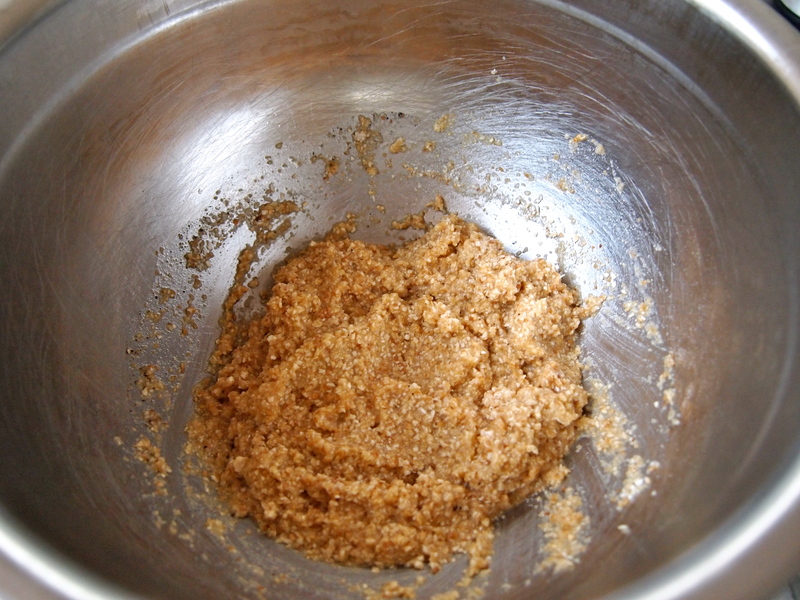 To make the matzo balls, mix all matzo ball ingredients in a bowl. Cover and place in the refrigerator for 30 minutes. Bring about 2 litres of well-salted water to a brisk boil in a medium sized pot. Reduce the flame. Run your hands under water so they are thoroughly wet. 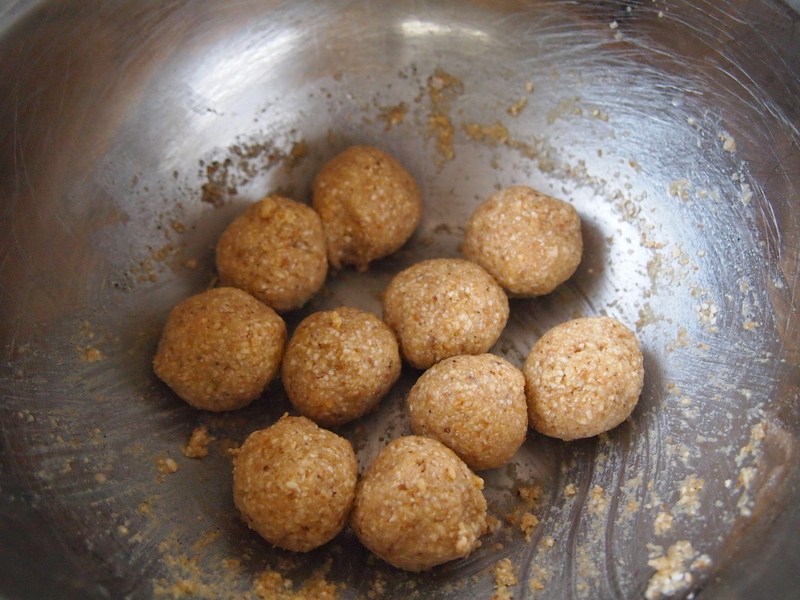 Form matzo balls by dropping spoonfuls of matzo ball batter, about the size of a walnut, into the palm of your wet hands and rolling them into balls. Drop them into the simmering salt water one at a time. Cover the pot and cook them for 30 to 40 minutes. Remove the matzo balls and set aside. 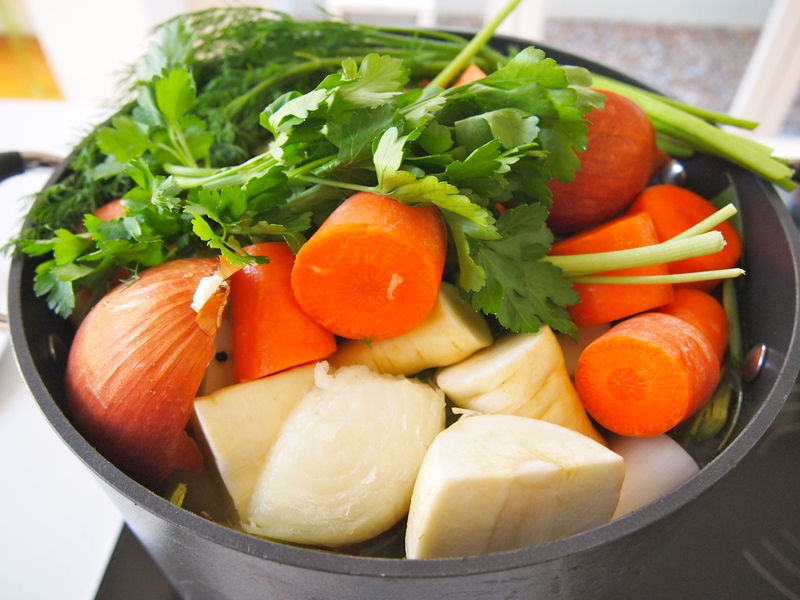 To finish, place the broth into a saucepan and bring to a simmer. Place the cooked matzo balls into the broth along with the carrots and cook for about 5 minutes or until the matzo balls have heated through and the carrots are just tender. 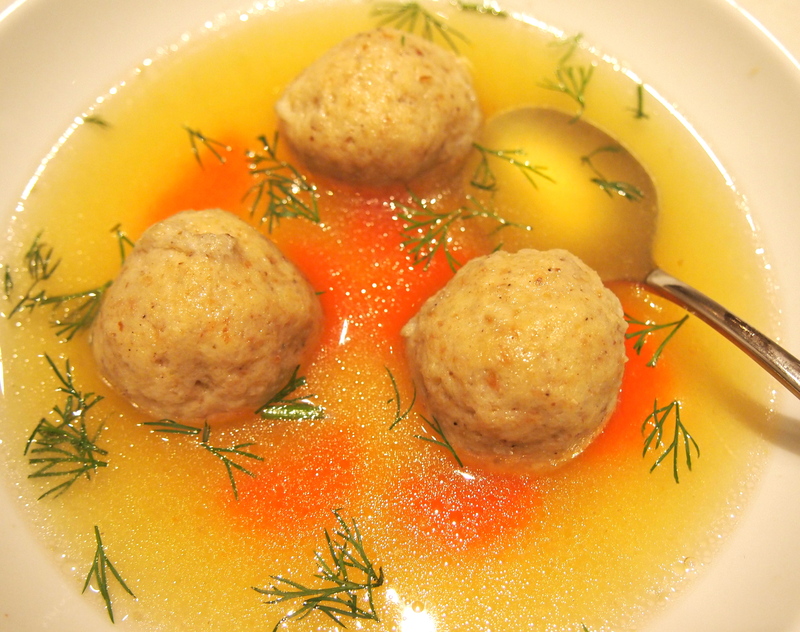 To serve, place some broth and matzo balls into soup bowls and scatter each serving with some chopped dill.